It’s spooky season, which means Halloween is right around the corner. Are you ready to take on the roads on the scariest night of the year? Whether you’re heading to the best trick-or-treating spots with your little ghouls and ghosties or hitting up a spooktacular celebration downtown, there are certain tips you should use to stay safe both behind the wheel and on foot. Toyota of Orlando is here to help. Tip #1: Keep your eyes on the road. It’s easy to get distracted behind the wheel, especially when you’re excited about the night’s festivities. However, keep your eyes on the road, your hands on the wheel, and pay close attention to your surroundings. There will be a lot more foot traffic on Halloween night from trick or treaters and partygoers, and you need to be able to safely maneuver around them. There will also be more traffic and a higher chance of drunk drivers on the road, so you have to stay focused and use safe driving habits to better avoid an accident. Tip #2: Turn on your headlights. Like we said, there will be a lot more foot traffic on Halloween night. It’s also getting dark earlier and most Halloween festivities start after the sun has set, so make sure you employ your safe driving sense and turn on your headlights as soon as dusk falls. Also, make sure your headlights are clear and bright and if they’re not, schedule Orlando Toyota service to get them up and running. Tip #3: Come to a complete stop at stop signs and when turning right on red. More pedestrians mean more people crossing the street! It’s scary, but as long as you come to a complete stop at stop signs and when turning red at red lights, you can avoid them. Don’t forget to look both ways and make sure the crosswalk is clear before you pull through or turn, too. Tip #4: Trick or treat in a well-lit neighborhood. 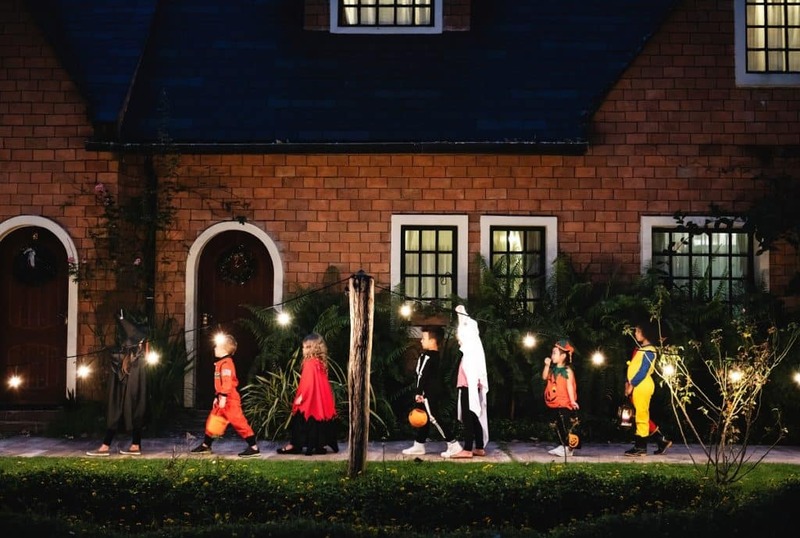 Here at Toyota of Orlando we highly recommend trick or treating in a neighborhood that has street lights and sidewalks to up your safety factor. Sidewalks help you avoid cars, and good lighting means you’re more visible to people behind the wheel. It’s also just safer in general. Tip #5: Make sure your kids know the rules of the road. Do your little ghouls and ghosties know to only cross the street at crosswalks and to stay on the sidewalks? Do they know not to walk between parked cars to cross the street? Do they know to look both ways before crossing? Teach them how to be safe on foot before you hit the trail for candy collection. Tip #6: Make yourself visible. Being visible to drivers is essential for safety on Halloween night. Make sure your little monsters’ costumes either have light colors incorporated into them or consider putting reflective tape on them so cars can easily spot them. Want more safe driving tips? Call Toyota of Orlando today – we’re here to help you make your spooktacular celebrations safer than ever on Halloween night. You can reach us at (407) 298-4500!